Finally! 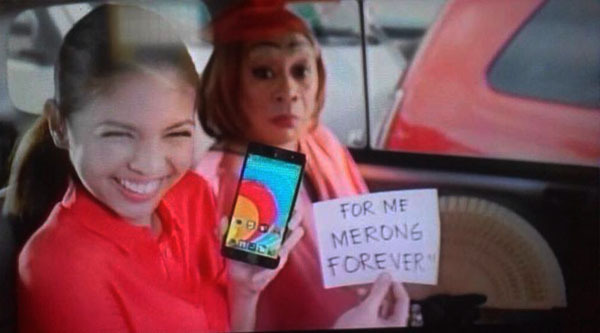 The most-awaited Yaya Dub and Lola Nidora’s O Plus TV commercial is out! Yaya Dub and Lola Nidora’s O Plus TV commercial has been released on Saturday, September 26, 2015. The said TV commercial was launched amid Eat Bulaga’s National Pabebe Wave Day celebration. Watch O Plus new TVC on the below. Meanwhile, rumor has it that Maine Mendoza will endorse a popular brand of shampoo. What can you say about this new commercial of Maine Mendoza and Wally Bayola? Share your thoughts on the comment section below.